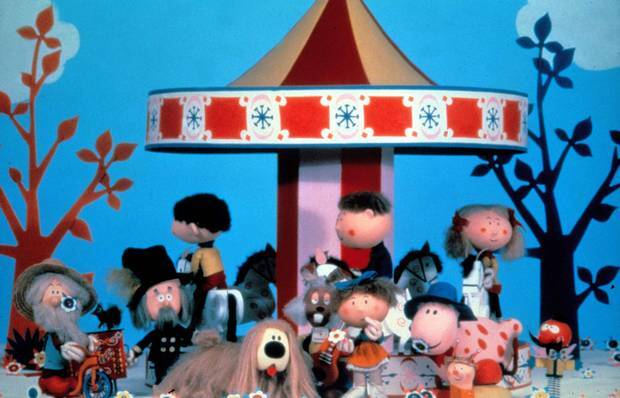 At nearly 25, and of all the classic British TV institutions that have been, you’d think that “The Magic Roundabout” would be the one I’d least be aware of. After all, it first went to air in the UK at teatime in October 1965 – some 25 years before I was even born. Of course, however, people who know me well enough will know that I was a huge fan of the show, largely through commercial BBC VHS releases of the original Eric Thompson episodes in the late 80’s and early 90’s. His dry, laconic wit and calming, mellifluous voice was one of the soundtracks of my early years. Hence why at aged 2 or 3, I was walking around our living room shouting “I’m a British cannon! British to the core!” or “London’s burning, the dam’s burst! Women and dogs first!”, something my parents still find amusing to this day. But it showed what sort of effect it had on me. An effect that has lasted into my adulthood. For it’s Thompson’s enchanting, witty tales of Dougal, Florence, Zebedee, Brian, Ermintrude and the others that are in fact influencing my own series of children’s stories (as yet unnamed) that I’ve been writing for just under a year. This little compendium of tales were originally published as seperate tie-ins to the series at the height of its popularity in the 1960s and 70s, but were republished in this form to commemorate the anniversary of Eric’s death 15 years previously, with a foreword by his wife Phyllida Law and daughters Emma and Sophie, themselves accomplished actors. And they are an escapist, beautifully written yet wonderfully hilarious treat. 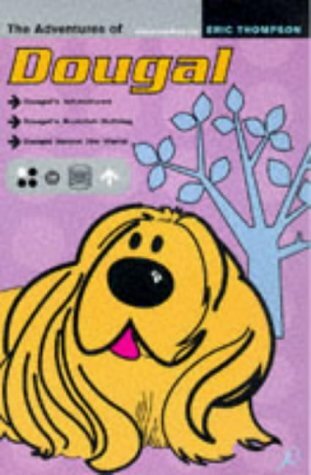 The first section, ‘Dougal’s Adventures’ are a series of short stories that see Dougal have trouble with finding Zebedee’s missing moustache whilst pretending to be a crow, helping an endangered butterfly from captivity and leading the captain of a ship on Navy Day, all with hilarious effect. The other two longer sections of the book, ‘Dougal’s Scottish Holiday’ and ‘Dougal Round the World’ set the temperamental shaggy dog and his chums outside their usual roundabout setting, as they take seperate vacations to see Dougal’s fiery Uncle Hamish in Scotland for the winter, and then on a globe trotting expedition in summer that finds time to take in Italy, Morocco and the North Pole. It’s a shame that in an age when literature seems to have less and less relevance on the youth of today, I feel eternally grateful that Thompson’s creations came into my formative years when they did. He had such a way with words, and a way of writing for such a broad audience that it has made the appeal of these little stories all the more enduring. It’s a gift I feel his daughter Emma Thompson has carried on beautifully throughout her own career, particularly her screen writing for ‘Nanny McPhee’ which she starred in and more recently, her writing of two new Peter Rabbit stories for Frederick Warne and Co, the original publishing house of Beatrix Potter’s much loved tales. If you have kids who are just growing out of Peppa Pig but are looking for a new, equally enjoyable replacement, I’d advise giving ‘The Magic Roundabout’ (you can find the original episodes all on YouTube now) and indeed this book a go. I hope they are as enthralled and enchanted as I was, and continue to be. 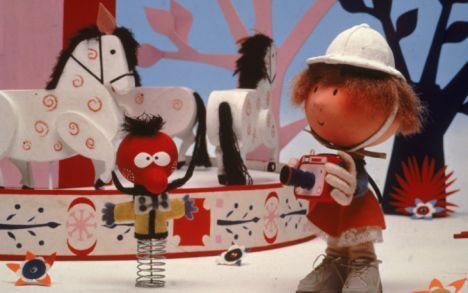 “Now where was I?” said Zebedee. “Oh yes, time for bed.” BOING! Next ›The art of a bucket list.